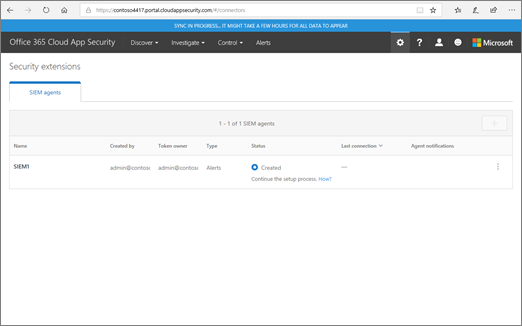 You can integrate Office 365 Cloud App Security with your security information and event management (SIEM) server to enable centralized monitoring of alerts. This is especially beneficial for organizations who are using cloud services and on-premises server applications. 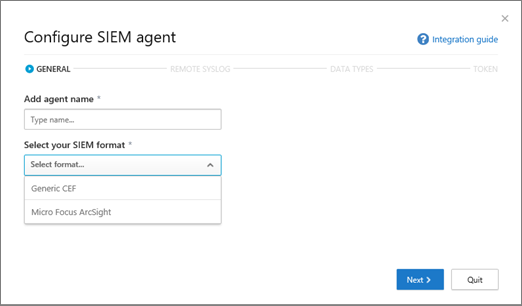 You can integrate your SIEM server to pull alerts and activities from Office 365 Cloud App Security into your SIEM server. Integrating with a SIEM server allows your security team to better protect your Office 365 applications while maintaining your usual security workflow, by automating certain security procedures and correlating between cloud-based and on-premises events. 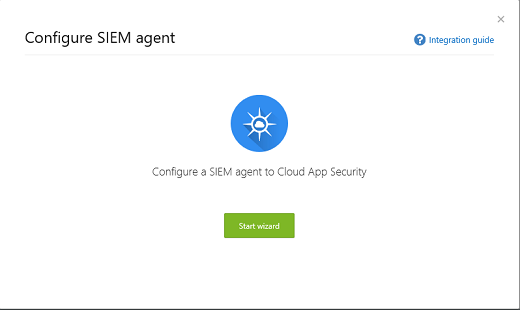 When you first integrate your SIEM server with Office 365 Cloud App Security, alerts from the last two days are forwarded to the SIEM server, as well as all alerts from then on (based on any filters you select). Additionally, if you disable this feature for an extended period, when you enable it again, it will forward the past two days of alerts and then all alerts from then on. A SIEM agent is set up in your organization's network. 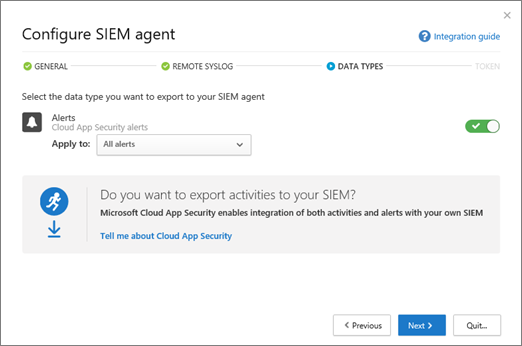 When deployed and configured, the SIEM agent pulls the data types that were configured (alerts) using Office 365 Cloud App Security RESTful APIs. The traffic is then sent over an encrypted HTTPS channel on port 443. 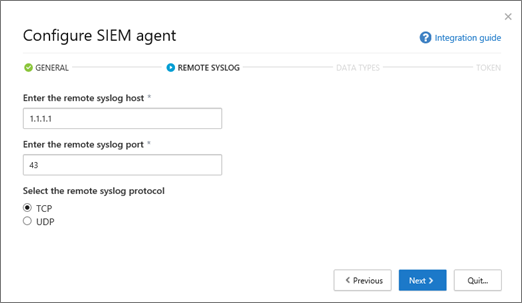 When a SIEM agent retrieves data from Office 365 Cloud App Security, it sends the Syslog messages to your local SIEM server using the network configurations that are provided during setup (TCP or UDP with a custom port). You must have Office 365 Cloud App Security enabled for your organization. You must have details about your Remote syslog host and Syslot port number. A network administrator or security administrator should be able to help you locate that information. You must agree to software license terms to download the JAR file you'll need to integrate your SIEM server. Go to the Cloud App Security portal (https://portal.cloudappsecurity.com) and sign in. Click Settings > Security extensions, and then choose SIEM agents. In the General step, specify a name, and Select your SIEM format and set any Advanced settings that are relevant to that format. Then choose Next. In the Remote Syslog step, specify the IP address or hostname of the Remote syslog host and the Syslog port number. Select TCP or UDP as the Remote Syslog protocol. (You can work with your network administrator or security administrator to get these details if you don't have them.) Then choose Next. Click All alerts, and then choose Specific filters. Define filters to select the kinds of alerts you want to send to your SIEM server. On the Congratulations screen, copy the token and save it for later. 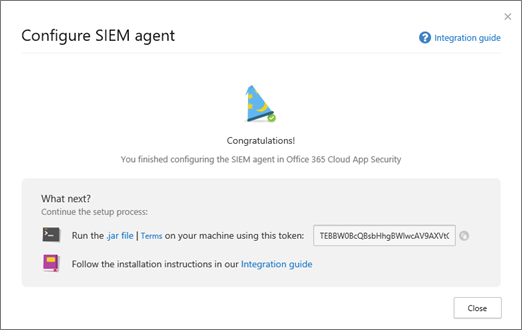 At this point, you have set up a SIEM agent in Office 365 Cloud App Security, but your SIEM server integration is not yet finished. Proceed to the next step to continue your SIEM server integration. After you click Close and leave the wizard, on the Security extensions screen, you can see the SIEM agent you added in the table. It will show a status of Created until it's connected later. Extract the .jar file from the zipped folder and run it on your SIEM server. We recommend that you run the JAR file on your SIEM server during server setup. Windows: Run as a scheduled task, making sure to configure the task to Run whether the user is logged on or not and clear the Stop the task if it runs longer than option. Linux: Add the run command with an & to the rc.local file. TOKEN is the SIEM agent token you copied in the first procedure. 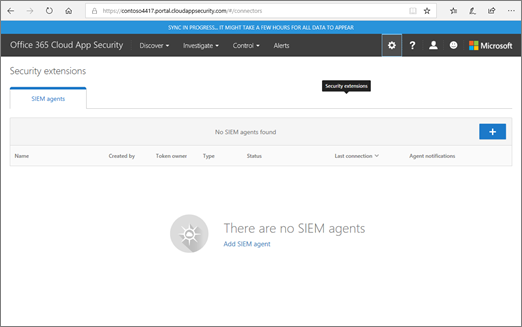 To get help, type -h.
Make sure the status of the SIEM agent in the Office 365 Cloud App Security portal is not displayed as Connection error or Disconnected and that there are no agent notifications. 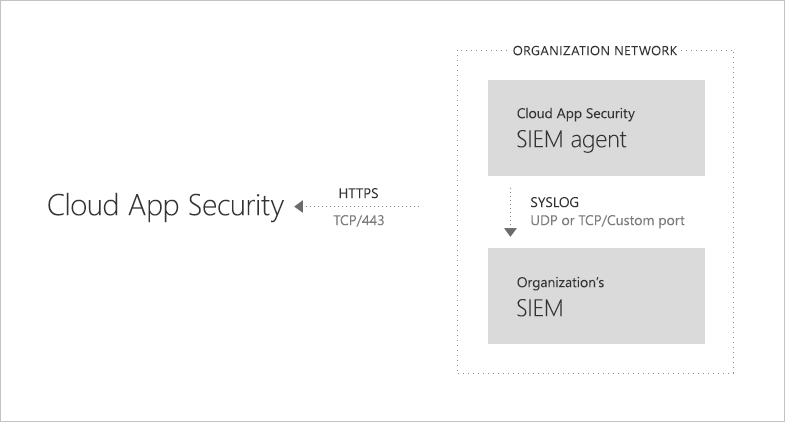 In your Syslog/SIEM server, make sure you see that alerts have arrived from Office 365 Cloud App Security. csLabel Varies (labels have different meanings). Typically, labels are self-explanatory, like targetObjects. 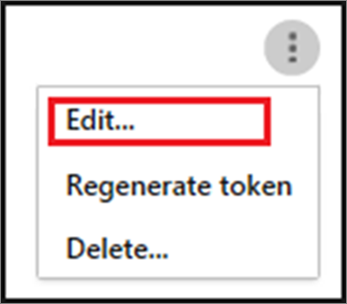 After you have configured your SIEM server and have integrated it with Office 365 Cloud App Security, you might need to regenerate a token, edit a SIEM agent, or delete a SIEM agent. The following sections describe how to perform these tasks. 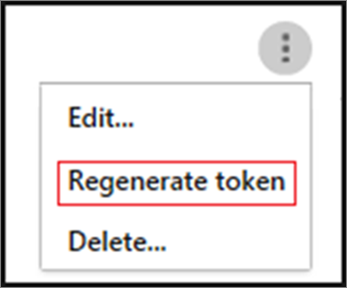 If you lose your token, you can regenerate one. 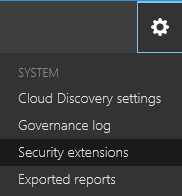 In the Office 365 Cloud App Security portal (https://portal.cloudappsecurity.com), choose Settings > Security extensions. In the table, locate the row for the SIEM agent. 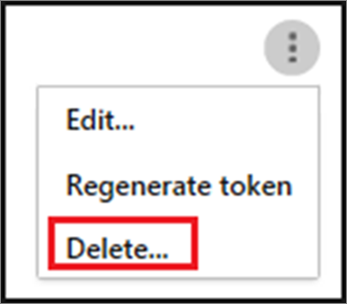 Click the ellipses, and then choose Regenerate token. Locate the row for the SIEM agent. Click the ellipses, and then choose Delete.